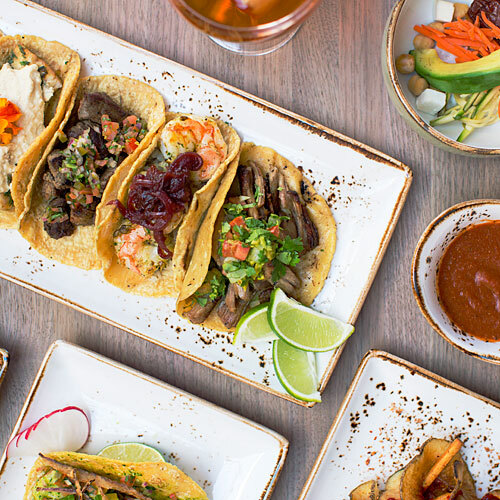 At Mexican street food–inspired Puesto, you’ll find an unfussy menu of filet mignon tacos and chicken mole with homemade corn tortillas—simple and satisfying. The real stunner here is the Thomas Schoos–designed space, located in a former cell block and file room. With lofty ceilings, chipped-paint walls, and graffiti art, it’s industrial chic done right, and a good example, too, of the lengths The Headquarters’ designers went to, to preserve historic features. The mezzanine level is actually a former catwalk.